You have a real conundrum on your hands: you are a die-hard fashionista, but your best friend is hosting a costume party and she really needs you there to manage the crowd, help clean up, and help keep the tunes flowing. 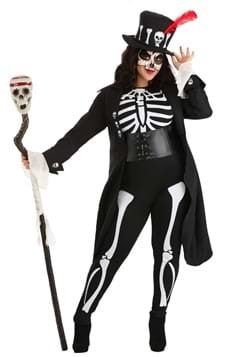 Costumes aren't always your thing, but she told you in no uncertain terms that "you come to the party in a costume, or you don't come at all." Yeesh. How you feel about style, she feels about costume parties. Sure, you could blow off the shindig and stay home reorganizing your epic closet. But your pal needs you. 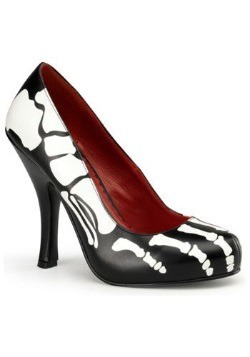 What if there was a way to stay true to your killer personal style and show up in the spirit of the event? 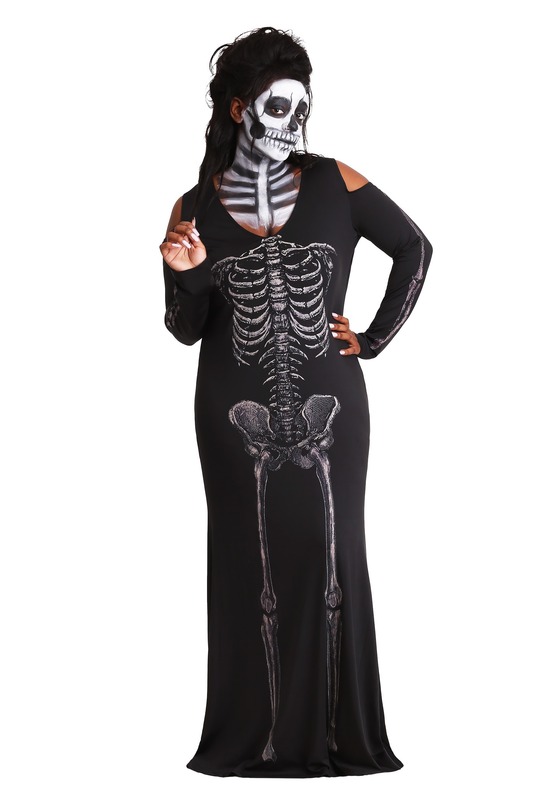 This Women's Bone Appetit Skeleton Plus Size Long Dress will enable you to help co-host the party and have your bestie's back, without showing up in something oversized or unflattering. Win-win! 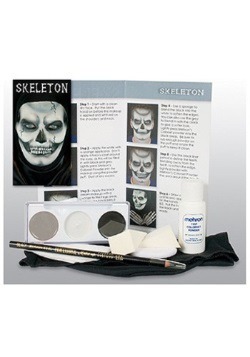 Plus, it's a great way to use all those skills you've been gathering by watching makeup tutorials! Who knows? You may get in touch with a dark side of your look that you learn to love well past the end of the party. The beauty of this garment is its simplicity. It's comprised of a black, long-sleeved pullover maxi dress with shoulder cutouts (very in this season). The eye-catching nature of this look comes from the printed skeleton graphic—as you know, bold prints are totally on trend right now, so this fits right in! But here's the kicker: the bones on this dress glow in the dark after light exposure! Not only does this dress satisfy your fashion sense, but it will actually make you a trend setter! You'll see; glow in the dark is going to make a comeback after your pals catch sight of you in this cool ensemble. Make no mistake, this dress enables you to be yourself and be there for your best pal. Plus you get to have fun accessorizing! We're glad to see you embracing this eerie addition to your style—we think you just may get into dressing up in costumes after all the attention this look brings you!